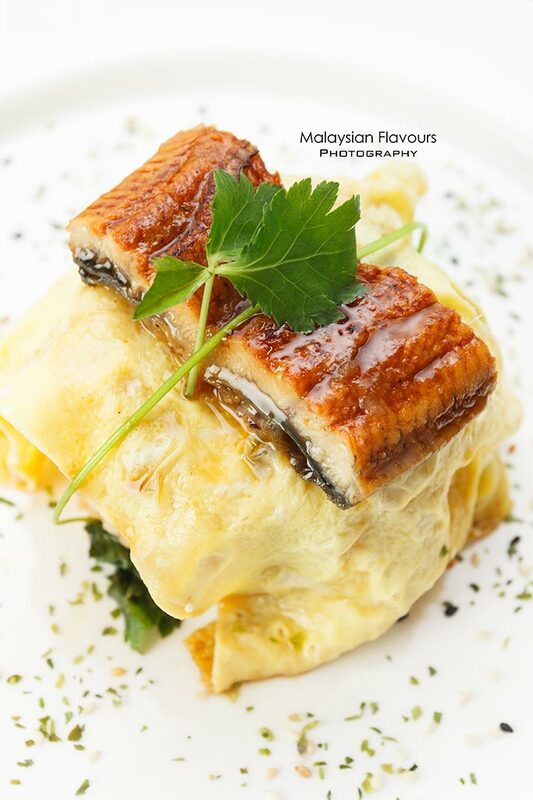 Besides Dynasty Chinese Restaurant, Sagano Japanese Restaurant is also one of the longest running participants in MIGF, where both restaurants are from Renaissance Kuala Lumpur Hotel. 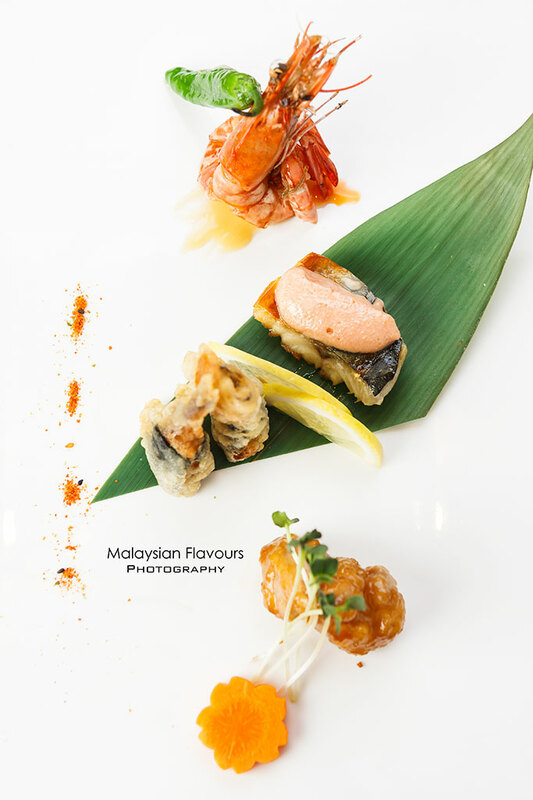 This year, Chef Michael Koh, the new member in Sagano culinary team, will dish out pleasing Japanese cuisine with modern contemporary twist, all stunningly presented for Malaysia International Gourmet Festival (MIGF) 2014. 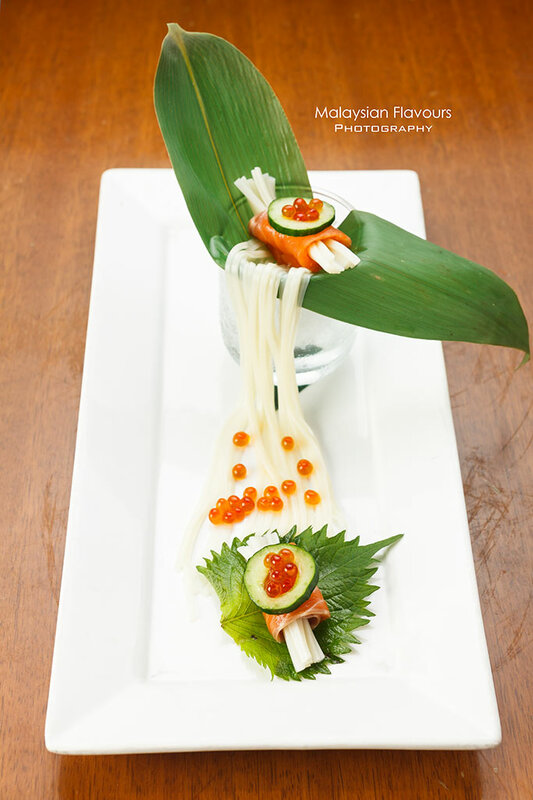 Begin the meal with Cold Appetizer of Salmon Sashimi Canapé on Inaniwa Udon with Ikura, a beautiful platter of noodles rolled within fresh, buttery salmon, topped with Japanese cucumber slice and fish roe. Sided along is Inaniwa Udon, dip into Ikura soup that enhance the smoothness, coating light savouriness to each strand of noodle. Hot Appetizer proves to lend a contrast to the cold Appetizer, starting to go heavier in flavours and texture. 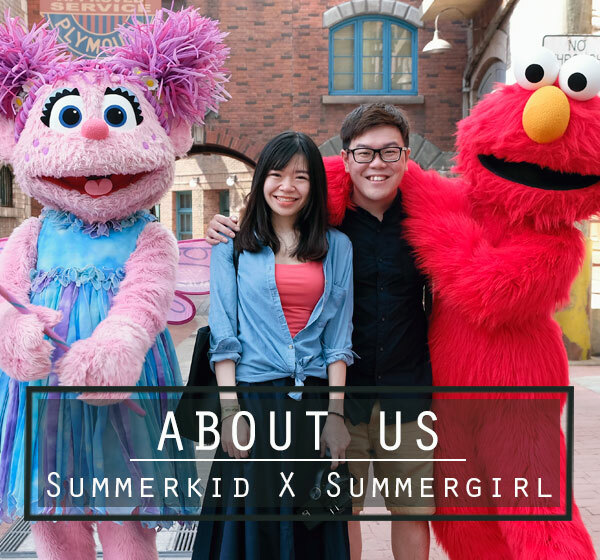 Bouncy live Tiger prawn pair with savoury sweet sauce, tender soft chicken layered with Jibuni style sauce, grilled meaty mackerel topped with creamy fish roe; deep fried capelin fish jacketed with crispy tempura skin. 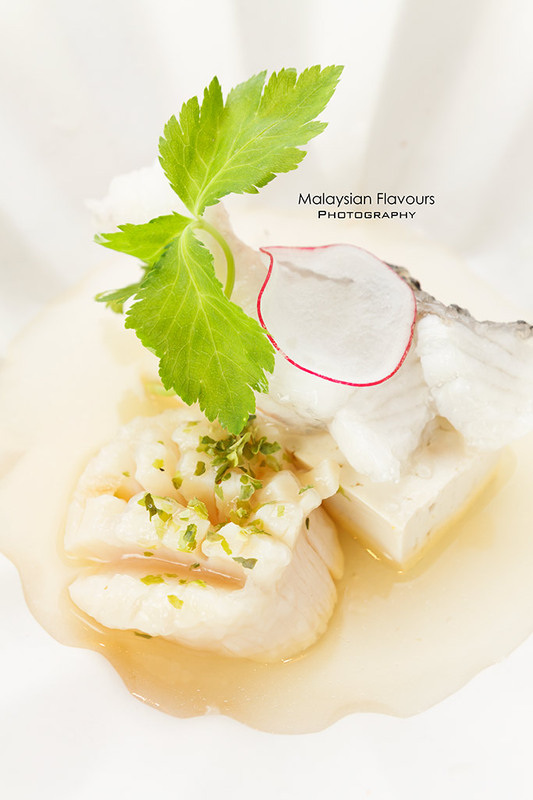 Clear Sashi broth to clean the palate and warm up the tummy before reaching for main course. Flavourful and nourishing, generously laden with tofu, scallop and seabass which is so smooth, surprisingly slurp down the throat easily. 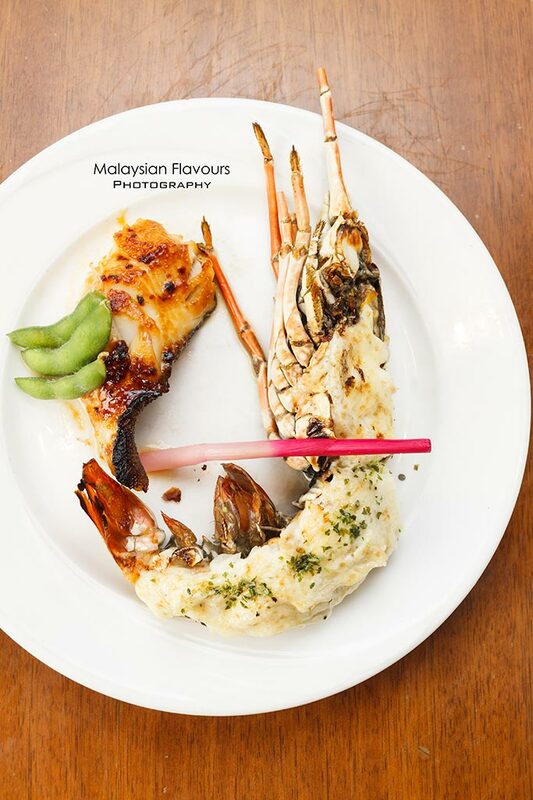 Double delicious combining grilled lobster showered with creamy homemade gratin, finished with cheesy baked topping, accompanied with grilled marinated cod glazed with Japnese miso that showcases distinct saltiness to the flaky soft flesh. 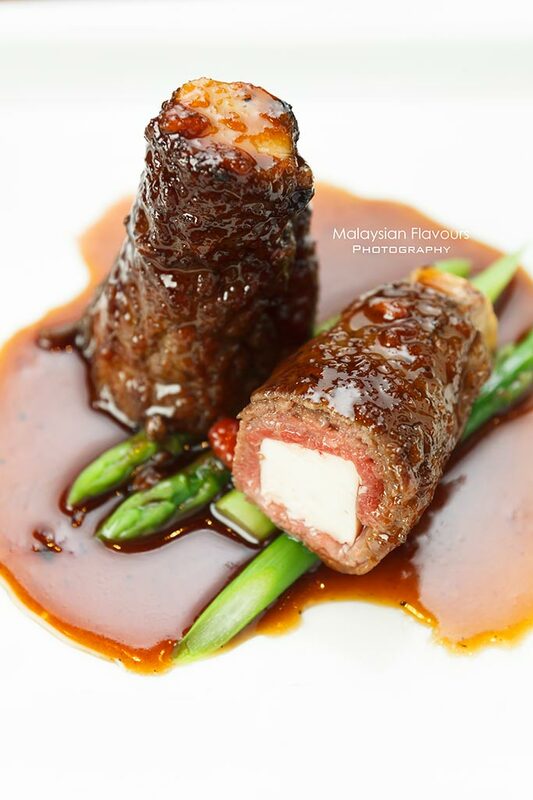 Instead of serving in slices, the chef creatively choose to encase melt-in-mouth bean curd within moist, tenderly soft wagyu sirloin to showcases flavour and texture difference that turns out to be a good marriage. Mushroom rice falls on lighter side, dense and sticky with juiciness from mushroom. Topped with paper thin fried egg, crowned with unagi brushed with sticky sweet sauce, further flavoured up with honey teriyaki sauce. 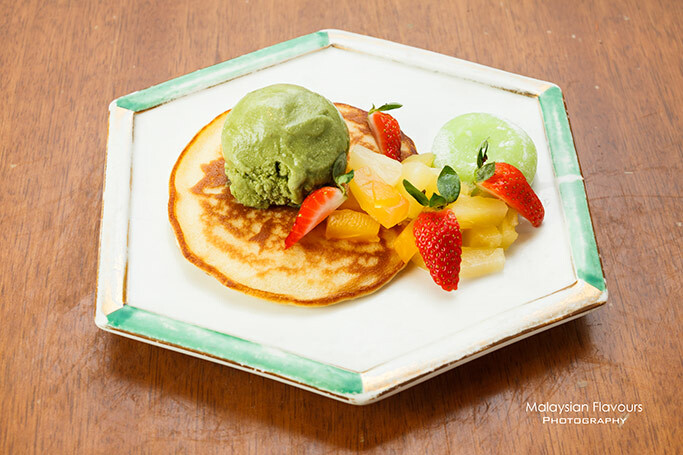 End the meal with Green Tea Ice Cream Pancake and Selection of Mochi, a dessert that may not earn winning point for creativity, but at least, fits well in rounding up the whole Festival menu back to the authentic essence of Japanese cuisine, thanks to the green tea ice cream and mochi.